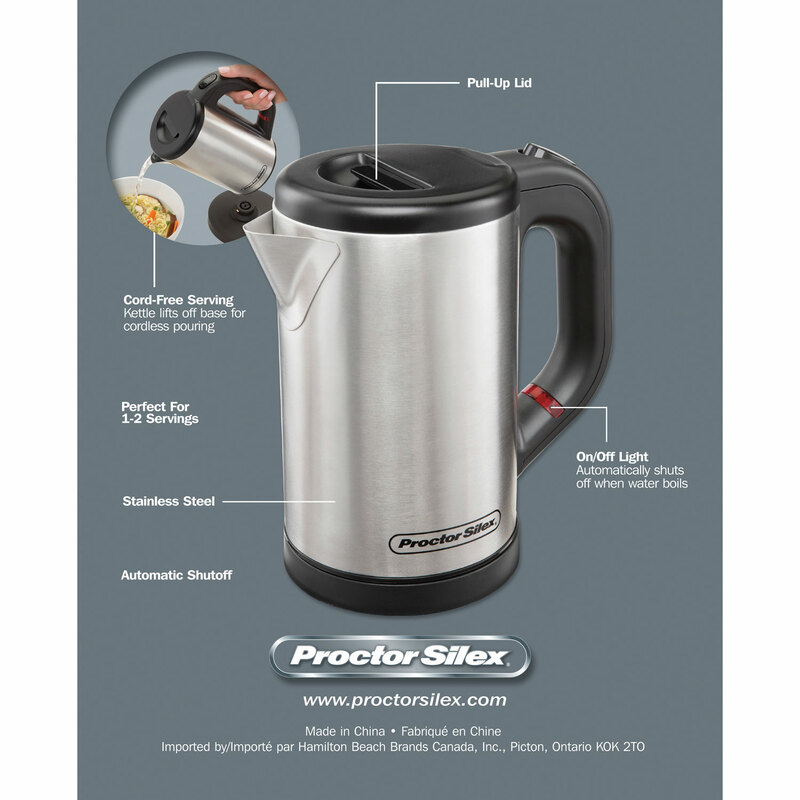 Boil hot water for tea, soup or hot chocolate with the attractive, easy-to-use Proctor Silex .5 Liter Compact Size Kettle. 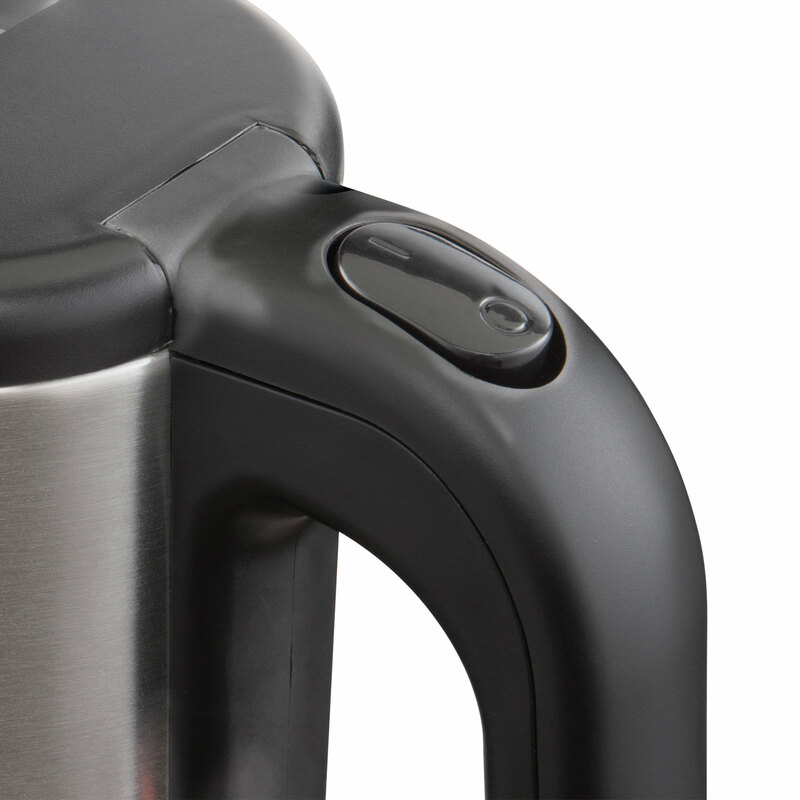 Faster than a microwave and safer than the stovetop, this electric kettle boils water in a snap. 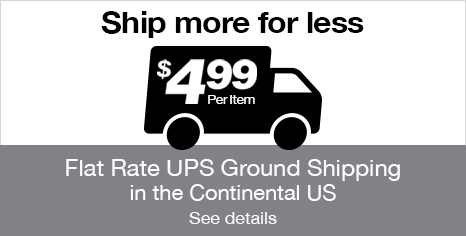 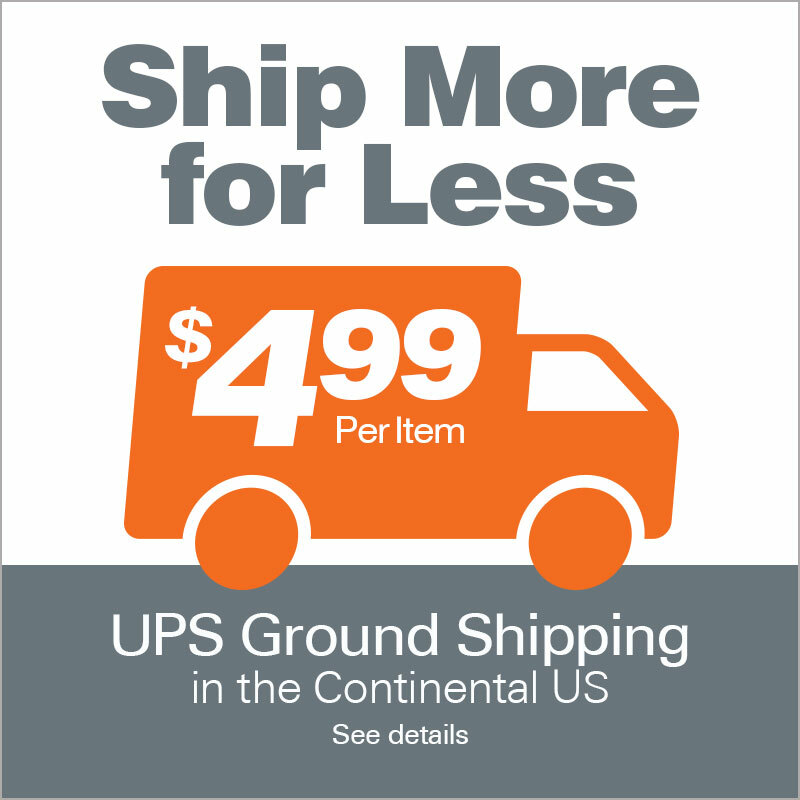 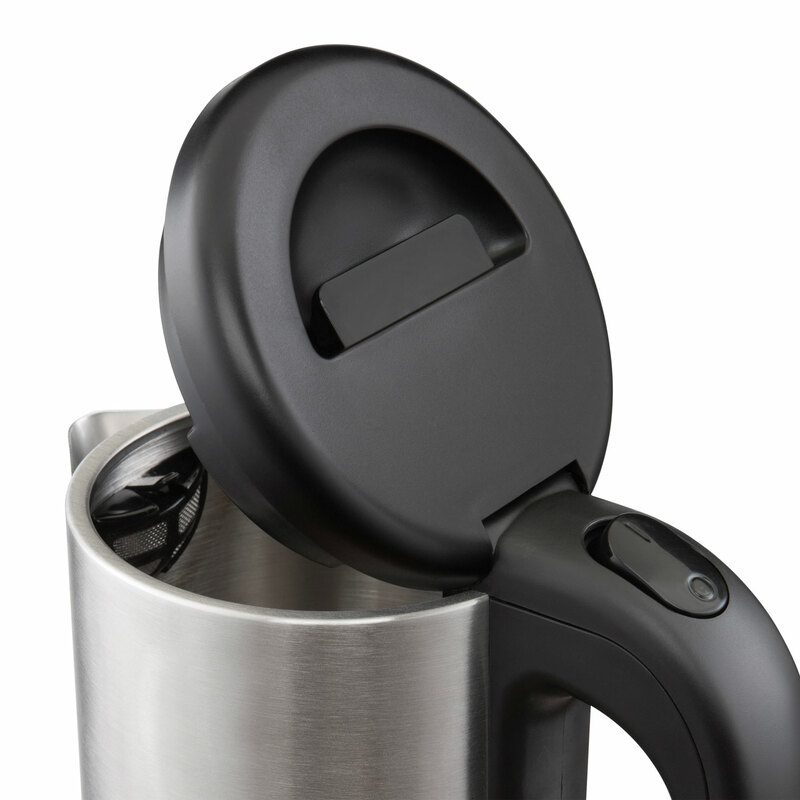 Because of the kettle’s compact size, perfect for 1 to 2 servings, it is ideal for travel, the office, or at home since it requires little counter or cabinet space. 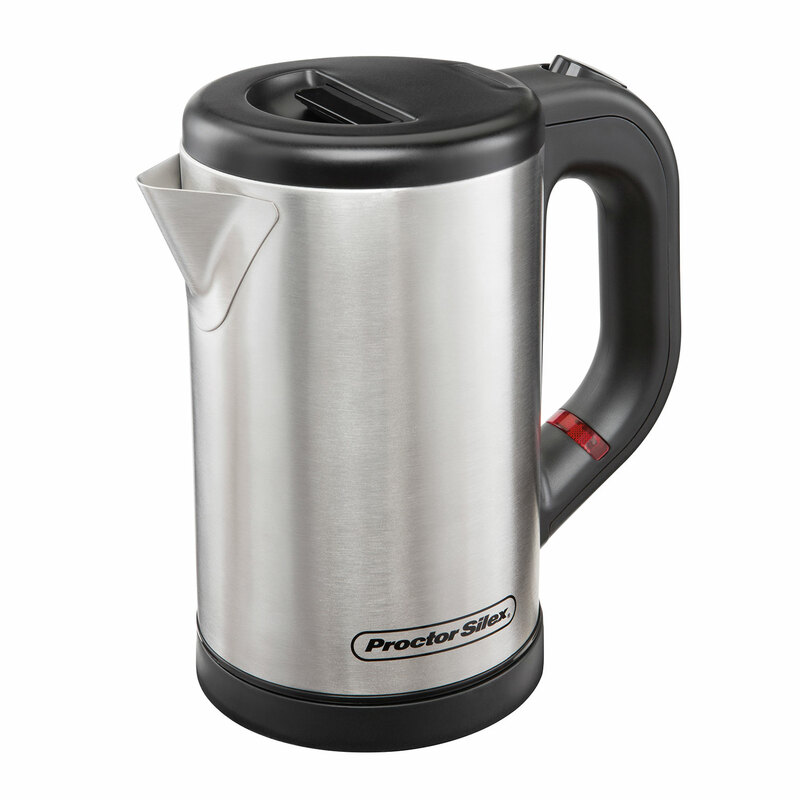 It also features a detachable base for easy, cord-free pouring and an automatic shutoff function that turns the kettle off when water comes to a boil. 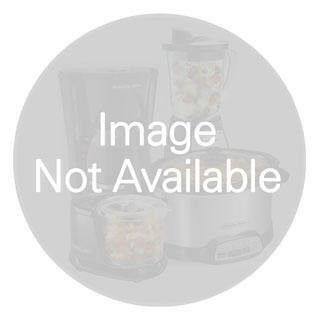 In just a few minutes, you can have a pot of boiling water for instant soup, hot cereals, tea and more. 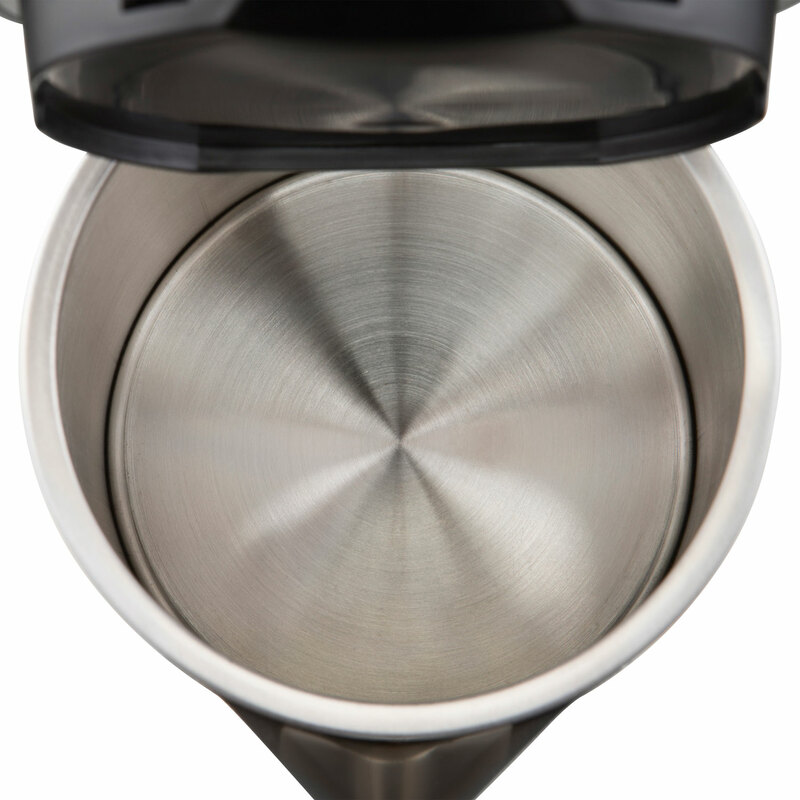 Thanks to an automatic shutoff feature with boil-dry protection, you never have to worry about a hazard should you walk away and forget. 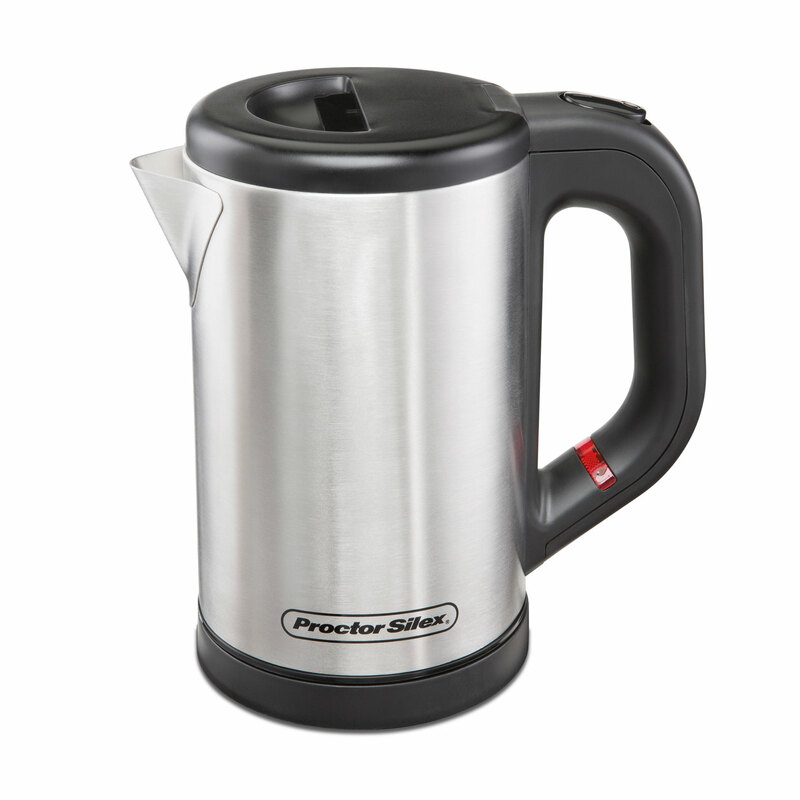 Enjoy the ease and convenience of cord-free serving with this well designed electric kettle. 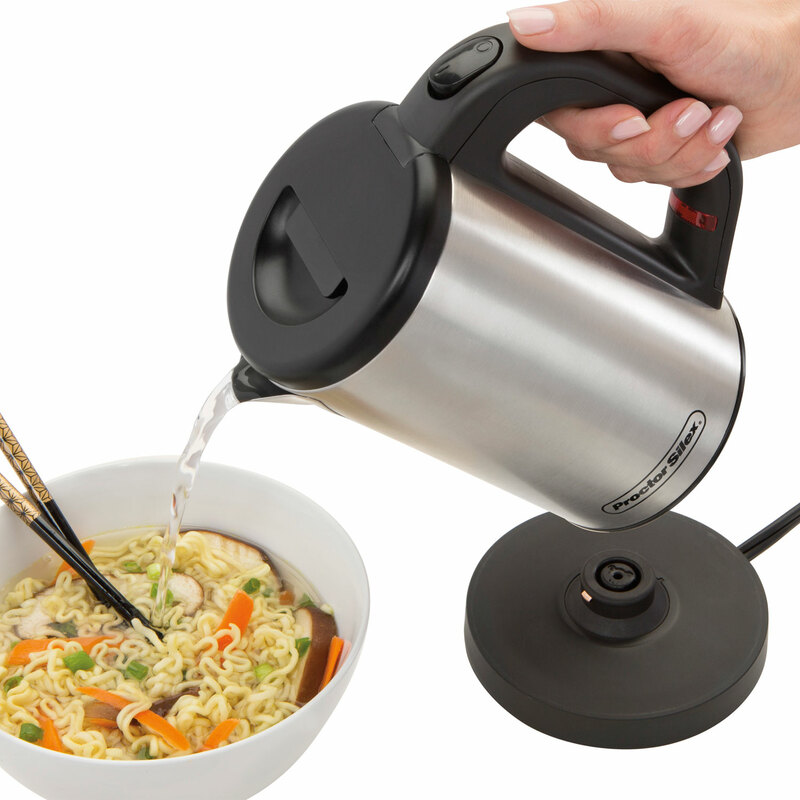 The kettle lifts off the base so you are free to take the kettle to the table for serving. 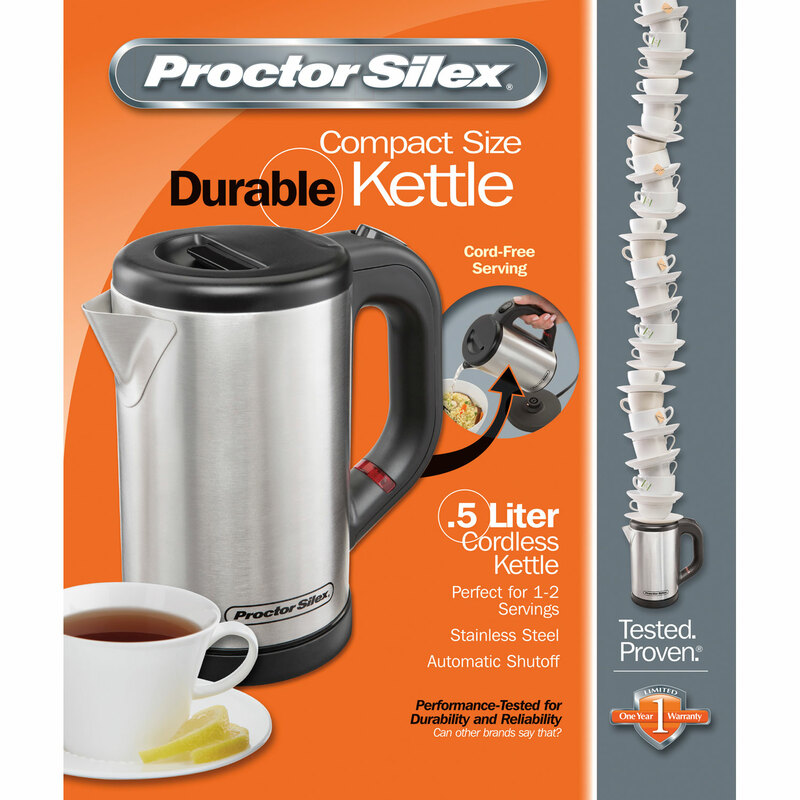 A convenient lid removes easily when you need to fill up the kettle, but stays in place when pouring. 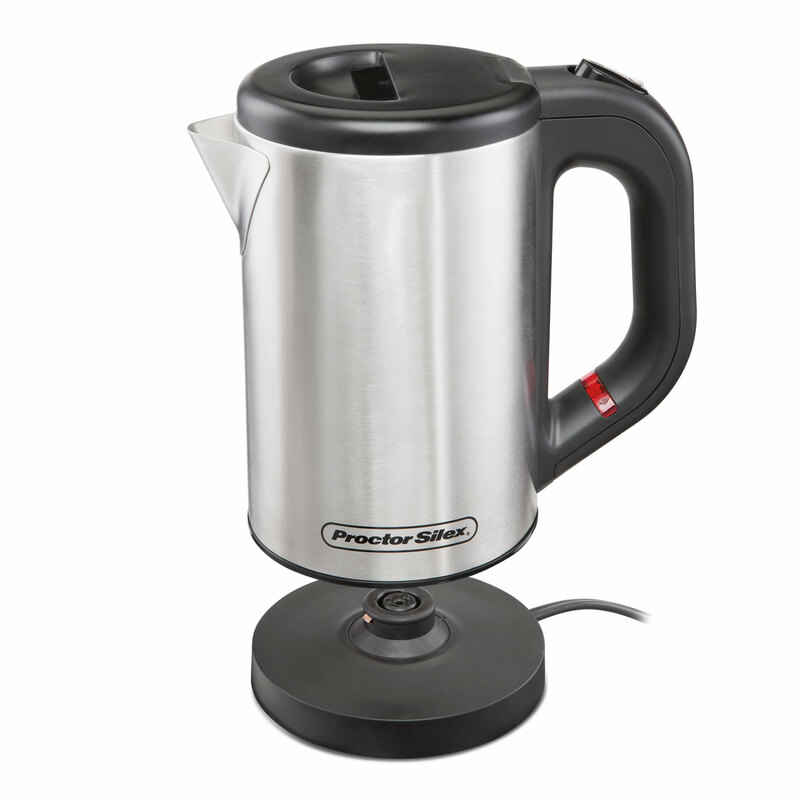 An on/off switch is located within easy reach when holding the kettle by the handle. 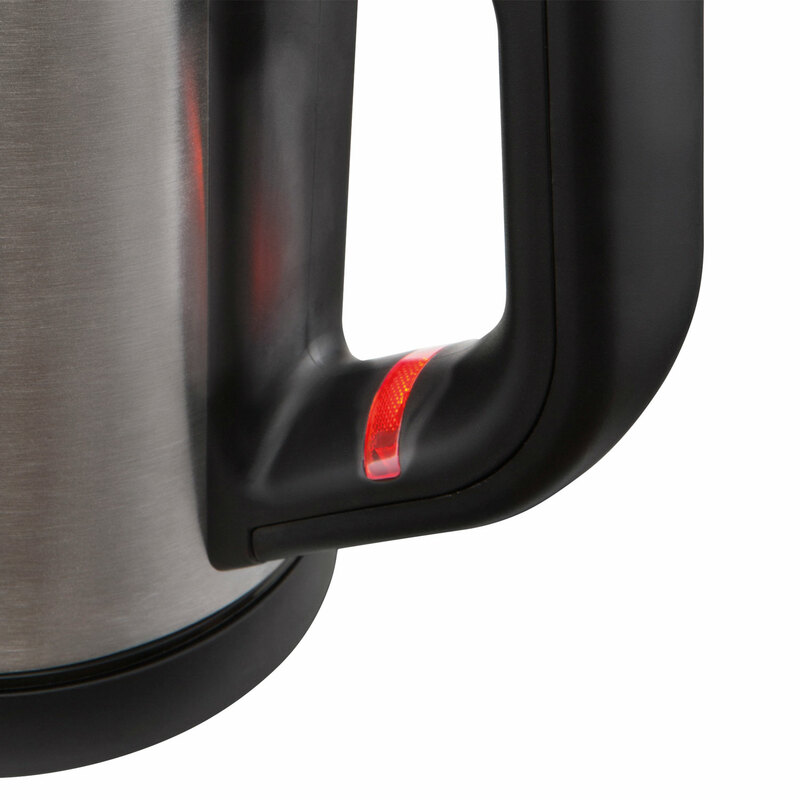 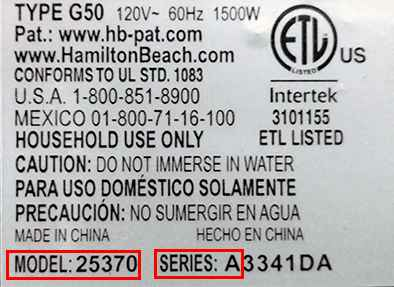 Illuminated on/off indicator lets you know when hot water is on the way.